> Lift Axles>13,500 LB - LINK DURALIFT STEERABLE LIFT AXLE (13.5K) NEW! New! Now available in 8K, 10K, and 13.5K capacities, we have completely redesigned our family of self-steer auxiliary suspensions. A 20K model will be unveiled later in 2018. 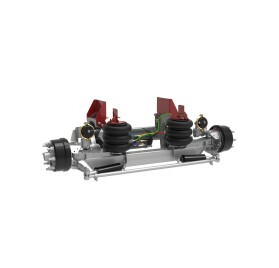 Featuring Swift Mount Technology, Link’s self-steer auxiliary suspensions use patented interchangeable right height brackets and integrated air kits to reduce installation time by three to five hours. 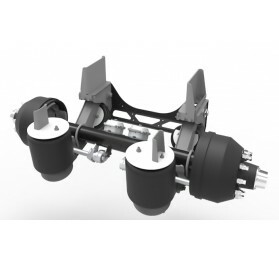 ll Link lift axles are designed and manufactured with a focus on quality, durability and time savings. 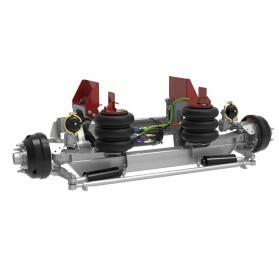 Link’s DuraLift® self-steer options are available in 8k, 13.5k and 20k capacities. 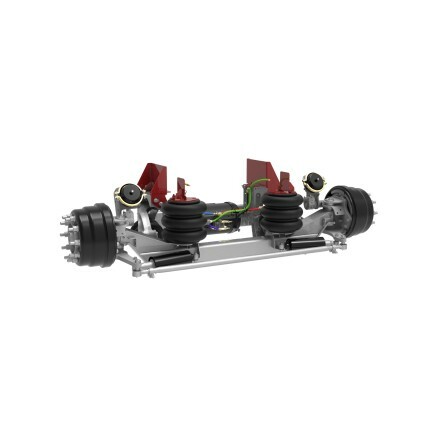 The DuraMax line of lift axles offer capacities ranging from 13.2k to 20k. 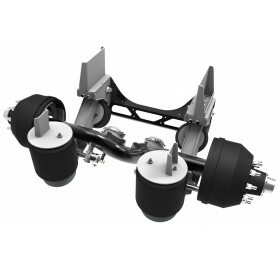 Link Lift Axles are also engineered with unique benefits that add additional value for installers and end-users. Link’s patented interchangeable ride height brackets and integrated air kit allow installers to save 2-3 hours of installation time. The bracket kits also reduce inventory requirements. And our industry-best 5-Day Lead Times and award-winning customer service enable drivers and owners to experience limited down time.